Anyone who has eaten at the Red Lobster knows that their famous cheddar bay biscuits are to die for. But there is no need to go to Red Lobster to enjoy them. Just make my at home! With this recipe for Red Lobster copy cat cheddar bay biscuits, your family will have the authentic taste of them anytime you like. No Need to Go to The Red Lobster – Enjoy These Red Lobster Copy cat Cheddar Bay Biscuits at Home! The flavor of these biscuits is very similar to those from Red Lobster and they are ready in only 20 minutes. The garlic parsley topping gives a special touch to the warm biscuits and makes them moist and delicious. These biscuits are so easy to make. Basically, you just mix the dry ingredients in one bowl and the wet in another. Mix them together and stir in the cheese. It makes a scrumptious looking biscuit dough. The biscuits cook beautifully. I use my silicone baking mat for them, but parchment paper will also work fine to line the baking tray. (affiliate links) Once cooked, just brush the biscuits with the butter garlic parsley spread and eat. 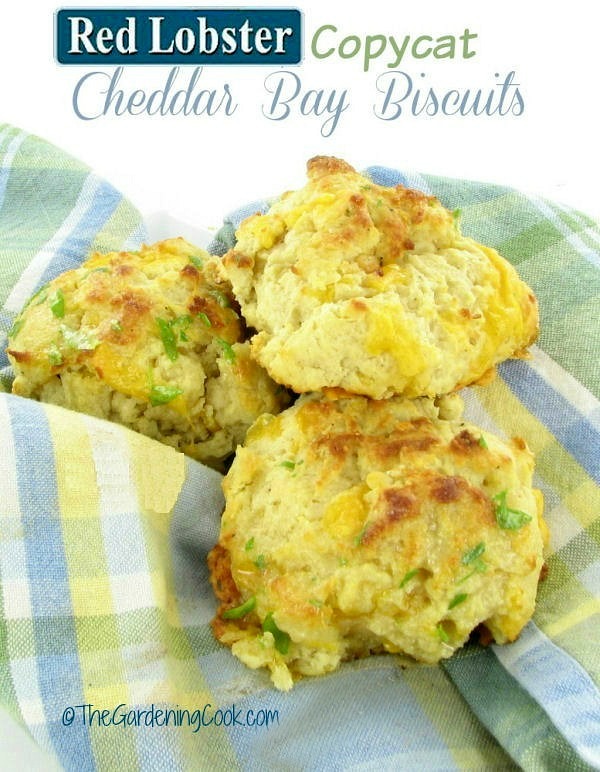 These melt in your mouth Red Lobster copycat cheddar bay biscuits are so good and the best part is that you don’t have to go to Red Lobster to enjoy them! Enjoy them with my slow cooker Tavern style pot roast and wait for all the compliments. For more great recipes, check out my Pinterest boards. 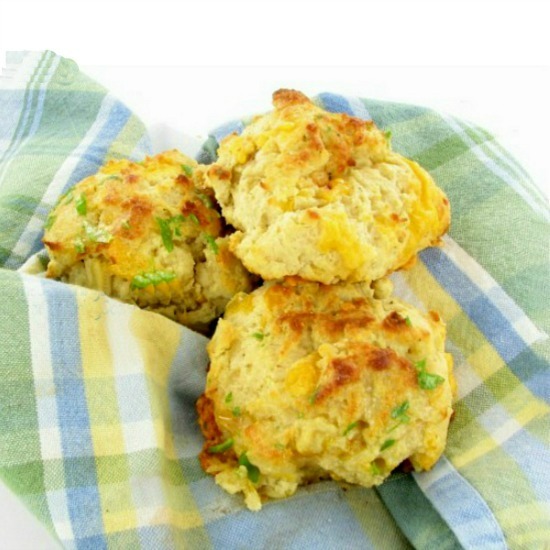 Enjoy the taste of Red Lobster's Cheddar Bay biscuits at home with this easy recipe. In a large bowl, combine the flour, Stevia in the raw, baking powder, garlic powder, salt and pepper. In a separate bowl, whisk together the low fat buttermilk and butter. Pour the liquid mixture over the dry ingredients and stir with a rubber spatula until all of the ingredients are just moist. Gently fold in the shredded cheese. Place 1/4 cup scoops of the batter onto the baking sheet and bake for 10-12 minutes, or until golden brown. While the biscuits are cooking, whisk together the butter, fresh parsley and garlic powder in a small bowl. Brush the tops of the warm biscuits with the butter mixture. Nutritional information is approximate due to natural variation in ingredients and the cook-at-home nature of our meals. They look good! But you really should try adding Old Bay seasoning in and on them ( add to your butter garlic topping), just that addition really makes them taste like the real deal. It’s the best thing on their menu!!! And since we don’t have Red Lobster in too many places in Canada, it’s worth knowing how to make these!!! We very seldom go to Red Lobster but I agree with Heather the cheddar biscuits are the best on the menu. I just tried a copy cat of your recipe Carol using Bisquit Mix and coconut milk, because I didn’t have enough flour or any buttermilk. I must say they turned out pretty good, at least the hubby thought so. He had three, LOL. Thanks for sharing your recipe! Your version sounds amazing and I love the idea of adding in Old Bay. That would make them over the top, I imagine! 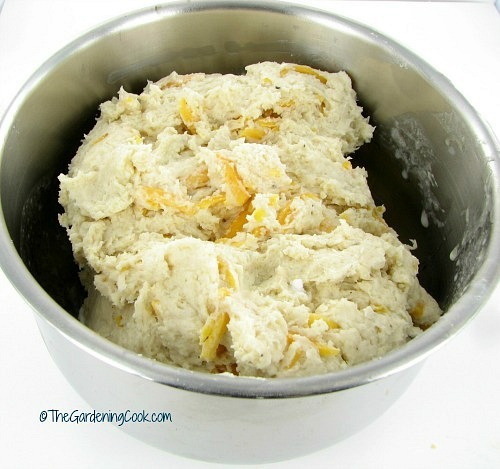 I use a mix from Tastefully Simple that is good, but your recipe is far less expensive!